At PHH Solicitors we have a dedicated and experienced conveyancing team comprising of solicitors and support staff who are here to guide you through the conveyancing process. 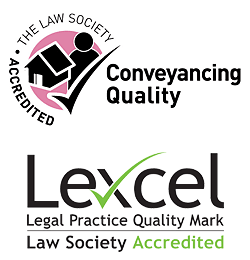 PHH Solicitors are proud to have been granted Conveyancing Quality Scheme accreditation by the Law Society. This is a nationally recognized quality standard for residential conveyancing solicitors and evidences the high quality of service PHH Solicitors provide. From start to finish you will receive a professional and proactive service. You will be assigned an expert conveyancer who will provide a competitive fixed fee quote. We will provide clear advice on the relevant searches and checks in a quick and friendly manner, ensuring that everything is as it should be with your property. PHH Solicitors, we have a wealth of experience within Residential Conveyancing and we are happy to provide you with a quote to suit your specific needs.